A fact that is little known to most people is that there are many societies that live virtually free of violence and quite a few that live without war. 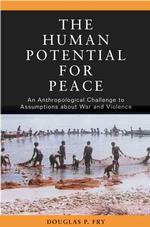 The Human Potential for Peace - Douglas Fry, Ph.D.
Fry also has written a second book, “Beyond War: The Human Potential for Peace” and there is a good review of it on the AFWW website. On this same subject of nonviolent cultures, another extremely interesting and useful resource is the website Peaceful Socieities. Fry’s work and the very existence of these cultures that have found ways to deal with our inevitable human conflicts using nonviolent means….and certianly never resorting to war…offer insight. Clearly war is not primarly the result of our biology. It’s the result of the kind of cultures we have created and in which we now reside. And they offer hope, because if war isn’t a built-in spect of human nature, and there are people who manage quite well without it, then we can hope that by understanding what’s wrong with the way we are currently living we might shape a better, less violent future for our children and generations beyond. In a recent National Geographic (December 2009) you can feast on a marvous article by Michael Finkel, with photographs by Martin Schoeller, about an honest-to-goodness modern-day hunter-gatherer culture, the Hadza of Tanzania. How do they live? What do they do for fun? What, if any, are their rituals? What is their view of gods and how do they think about an afterlife? Finkel’s description of a night-time baboon hunt with bows and arrows is a gripping page-turner. And what part of the baboon is considered most delicious…which part did the author find like eating an eraser. 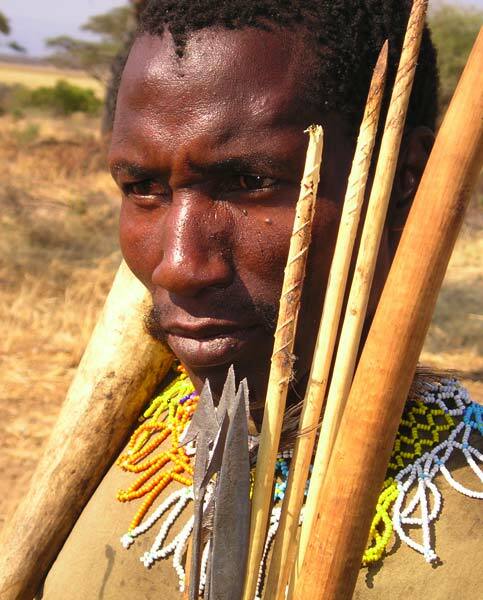 The point here about the Hadza is the peaceful and comparatively stress-free nature of their ways.